Specifically designed with our Taller Guest in mind, the Adventure Grand Bash is sure to delight everyone. This party offers the Grand Slam of choices for fun! 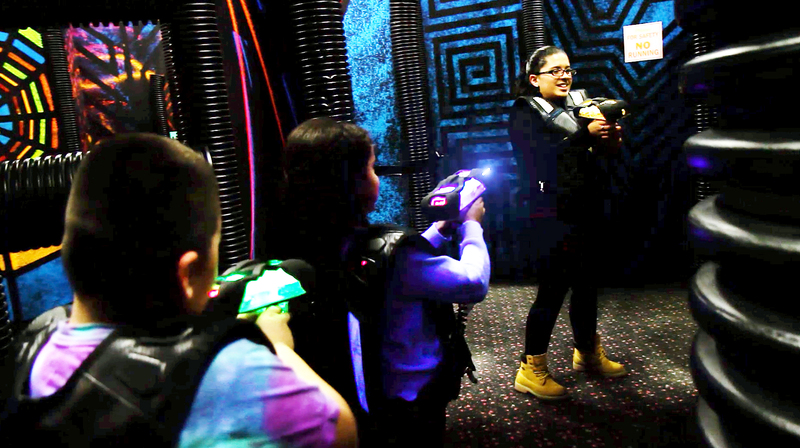 Your Child and their guest will challenge each other in a galactic game of laser tag in a 4000 sq ft arena filled with secret surprises! After that slide into VIP Head of the Line Choice Seating on 3 of our most popular attractions. This party is complete with pizza and soda in your own private party room. After enjoying the cake, traverse your way through bridges and tunnels on our 3 level maze and use your game card to play fun and exciting selection of Arcade games that will keep you entertained for as long as you wish.